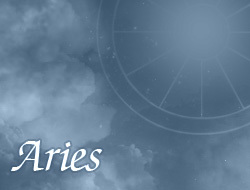 Arieses belong to persons incredibly energetic and having a great enthusiasm for action. They have also charming charisma casting spells on people in their surroundings, like a magnet. Their talkativeness is sometimes a great advantage in attracting the second half. Mostly Arieses are positively perceived by people – their lack is certainly noticeable. Sometimes they are very open and without beating they are able to talk about their plans, as well as to reveal their emotions. They are very fond to adventure and romantic moments in the relationships. They don't suffer when are stuck in a rut, and hence feel boredom. In some cases, they just try to do something new and crazy in order to cheer up.